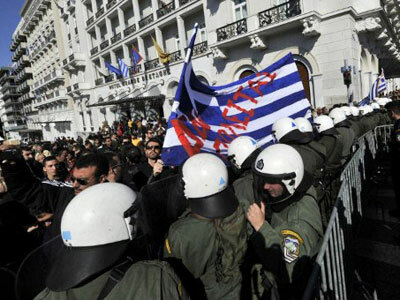 Greek PM George Papandreou confirmed the planned referendum is off after widespread rebellion from within his Socialist party. And there is an increasing probability the confidence vote will result unfavorably for Papandreou. ­Protesters have taken to the streets ahead of the confidence vote in their prime minister. The crowds heading to Syntagma Square are growing in number. The outcome of the vote is very uncertain, but the overall feeling in the country is that Papandreou’s days as PM are numbered. Change is certainly what the public are calling for. 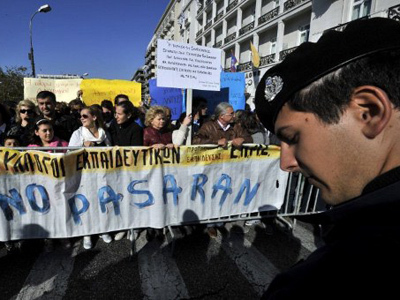 And amongst his government as well, the splinter groups in the ruling PASOK Socialist Party have been growing over the week. ­The figures in the Greek parliament reveal Papandreou's vulnerability: his governing Socialist party holds a tiny majority – 152 out of 300 seats, and a handful of the MPs have indicated they would refuse to back him in the confidence vote. 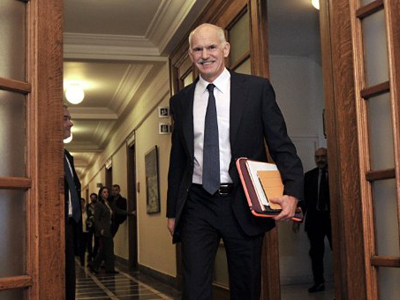 This may lead to George Papandreou not surviving the vote. 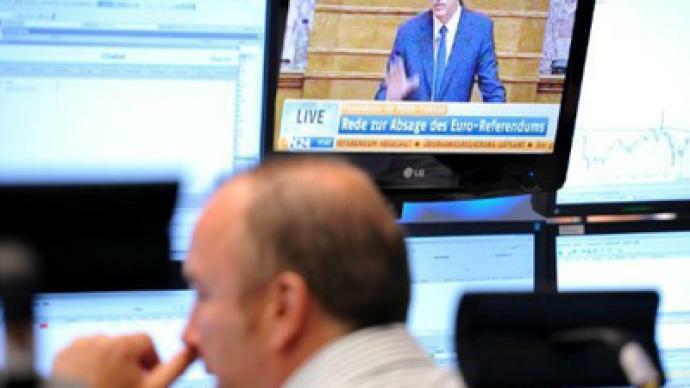 There were mixed reactions on the streets of Athens on Friday morning after the Greek PM announced he had decided to abandon the plan to put a European rescue deal to a public vote. "Ridiculous acts by a ridiculous government. 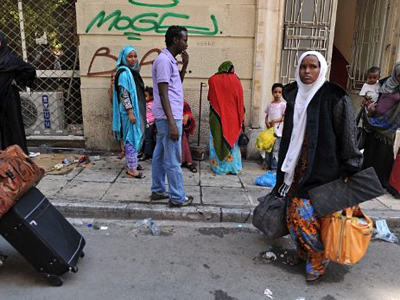 Nonsense," one Athens resident told the Associated Press. "There should not have been an issue of a referendum," he added. "There should have been a call for elections leaving the decisions in the hands of the people." Papandreou scraped his plans for the referendum after the main opposition conservatives indicated that they were in favor of the debt deal. 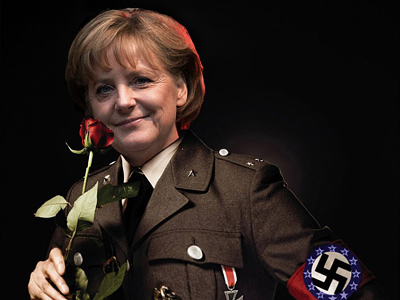 Today the Greek PM faces numerous calls to resign. 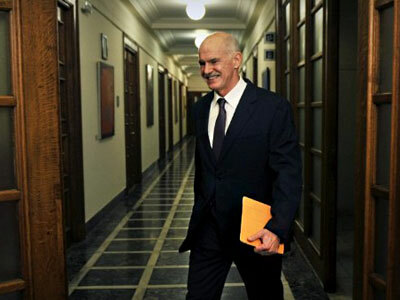 Papandreou will face a critical vote of confidence in his government late on Friday. George Katrougalos, professor of constitutional law at Demokritos University in Athens believes it may turn out to be problematic for Papandreou to survive the vote. “My prediction is that they will manage to get this confidence vote, but it will be a prelude for another governmental coalition,” he stated. 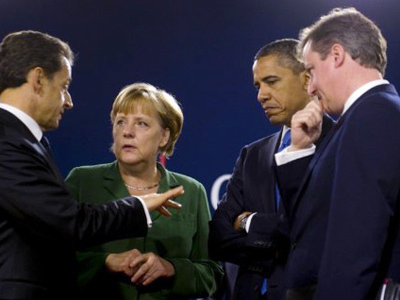 He added that the referendum U-turn made by the Greek PM was just a kind of poker bluff. “It was a kind of a Machiavellian movement; the PM knows that there is no possibility to govern Greece, taking into account the lack of legitimacy. So he tried a kind of extortion trying to make people accept his government. When his movement failed, it was a movement of panic and it failed – both internally and externally,” he explained. The fact that France and Germany have given Greece an ultimatum: leave the eurozone or play by its rules was clear proof that Greece and other EU countries like Italy or Spain have a limited sovereignty, believes Katrougalos. “They cannot decide by themselves what will be the subject of the referendum; they cannot even decide the date! 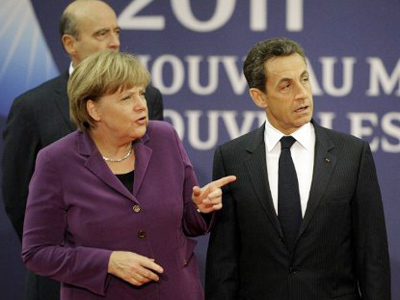 Sarkozy practically told the Greek PM exactly what is going to be at the referendum and the exact date,” he concluded.